B&R Enclosures, founded in 1955, started on an “Industry 4.0” journey approximately three years ago. The term, Industry 4.0, is used to describe advanced manufacturing within the Australian manufacturing industry and refers to current trends of improved automation, machine-to-machine communication, the Internet of Things and continued technological improvements and digitisation. Continual upgrades and advances in factory technology have helped B&R to create new business opportunities and continue to meet changing customer needs. B&R has several international partnerships whilst continuing to develop manufacturing facilities overseas. This has been possible whilst still remaining a 100% Australian family-owned and operated manufacturing company. As the B&R business continues to evolve so does the training needs of its staff throughout the business divisions. This means that the role of the family executive management team is to ensure business strategy and workforce development is aligned to meet these present and future goals. B&R products and systems are found throughout Australia, from remote mine sites and data centres to hospitals and residential homes and includes electrical enclosures, cabinet solutions, switchboard building systems, racks and cabinets. 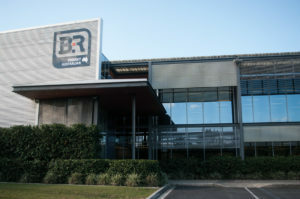 B&R employs over 300 staff, with its head office based in Heathwood, southwest of the Brisbane CBD. The facility utilises state-of-the-art equipment which allows B&R Enclosures to build to order as well as manufacture a range of standard products. To compliment head office facilities, B&R also has manufacturing locations in Adelaide, Sydney, China, Malaysia and Saudi Arabia. While B&R has a clear focus on maintaining manufacturing capabilities in Australia, the company also realised that there were a number of customers that needed to have access to the same quality of product internationally. This led to manufacturing facilities in China, Malaysia and Saudi Arabia, offering the same quality of products and services backed by the experience of the Australian founding company. One of the biggest steps B&R has taken is to evolve and recognise the need to digitise the manufacturing processes and services offered by the business. This meant focusing on digital and automated systems while servicing traditional market segments. 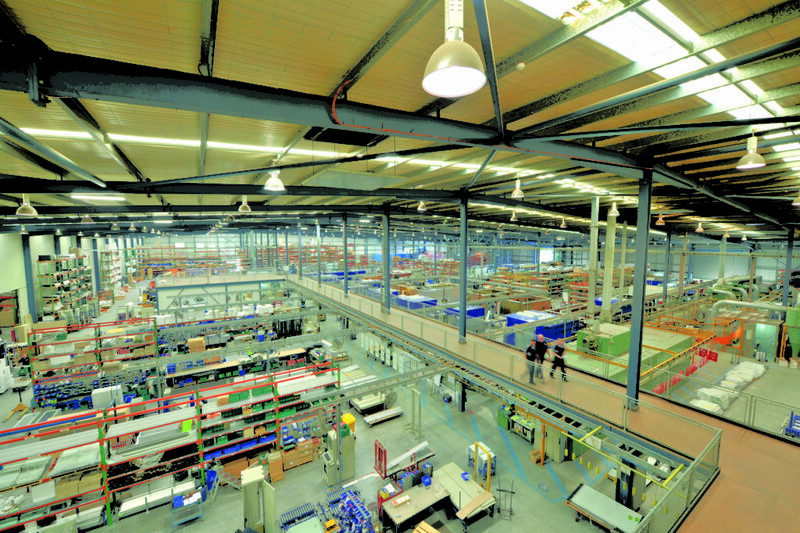 B&R has fully embraced its ‘Industry 4.0’ journey. Workforce development is a crucial part of the Industry 4.0 journey taken by B&R. At the cornerstone of its business strategy, B&R Enclosures will invest heavily in training employees to ensure the organisation has the skills needed to continue maximising future opportunities both nationally and internationally. As professional development is aligned with the business strategy, family members working within the business continue to increase their knowledge on topics including leadership, manufacturing technologies, international business and the emerging digital landscape. Training programs are continuously monitored and put in place across all levels of the business using a blend of internal and external training adapted to meet the specific needs of manufacturing staff. Doug Searle, Plant Manager Adelaide, says B&R has employed apprentices (both adult and youth) for traditional trades and primarily undertake the Certificate III in Engineering – Fabrication Trade ( Light Fabrication). Training is delivered through a long-term partnership with Adelaide Training and Employment Centre (ATEC), who adapt the Certificate III training style to suit B&R’s needs. B&R has become involved with an emerging market in the digitisation capabilities space, the Defence sector. In conjunction with the South Australian Government and other leading manufacturers, the Virtual Shipyard Program is an Australian-first digital training program developed for local companies that will ensure future growth of B&R’s major Defence work. Through the Virtual Shipyard Training Program, B&R will develop digital capabilities used worldwide to test construction, manage the entire lifecycle of projects and link into supply chains. “We are seeing – even today – us win business in new areas we had not anticipated because we are on the Industry 4.0 journey,” explains General Manager at B&R, Chris Bridges-Taylor. As a 100% Australian, family-owned business, B&R will continue to champion the virtues of quality, service and value, providing our customers with products and solutions to deliver increased value.